Below are the 5 basic steps in estimating market size. Knowing the level of detail necessary to approach your strategic questions is the key to properly scoping your market sizing approach. Defining your target market should always be the first step in estimating market size, and it is critical that you do not stray from your determined market definition through the data collection process. Market size can be viewed in terms of Total Available Market (TAM), Served Available Market (SAM), and Share of Market (SOM). Total Available Market refers to the combined revenue or unit volume in a specified market. Often a company or investor will require the market size or Total Available Market for a particular geographic area. If we take the example of food packaging, the Total Available Market can be calculated by adding sales of food packaging producers in a particular geographic region or market segment. The Served Available Market refers to the percentage or size of TAM that a company can reasonably serve based on product, technology and geographic constraints. 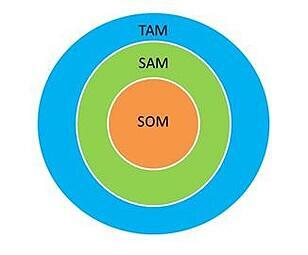 SAM typically will be less than TAM. Using the same example of food packaging, if the TAM for food packaging is $200 BN, then the Served Available Market for companies making flexible packaging would be only a percentage of TAM. Lastly, Share of Market or SOM refers to the percentage of SAM that a particular company currently serves or plans to serve. Again, SOM should be less than SAM except in the case of a monopoly. In your market sizing process, start by determining what products or services should be included as part of your TAM. Then narrow down by geographic scope—US, North America, Europe, etc. Another factor to consider is the timeframe. Are you looking for historic market sizing or future projections? By defining what should be included in your market sizing estimation, your company can more accurately determine the market potential and the estimated available share of the market. There are two basic methodologies for determining market size: top-down and bottom-up. Your selected approach may be based on what market information is available. 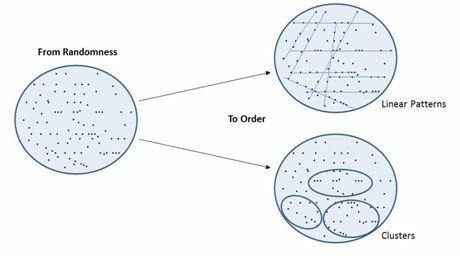 However, the best approach is to develop market sizing estimations using both methodologies in order to gain a higher confidence in your estimation. The top-down methodology uses a broad market size figure and determines the percentage that the target market represents. For example, to determine the TAM for food packaging, you might start with retail sales of packaged food and multiply by an assumed packaging cost (e.g. 10% of the total retail food value is packaging cost). In general, a top-down approach is typically a quicker, more time efficient approach. It is great for validation or a quick assessment of market size but seldom will provide the detail necessary for a true opportunity analysis. The bottom-up methodology builds the TAM by totaling the main variables of the target market. Using the same example of food packaging, a researcher might total the food packaging sales of packaging producers – all food packaging or by package type or by geography. This method is generally considered to be more accurate and takes considerably more time to complete. As a result, the bottom-up method is a more valid estimate because it is less likely to include non-addressable revenue or units. Your selected approach will dictate the necessary sources to estimate market size. Secondary research or desk research searches for existing data and is the most commonly used form of research in this type of exercise because it is quicker to obtain and therefore usually more cost effective. Through general web searching, a wealth of information can be found at little or no cost. Subscription-based or syndicated research is a great place to start, but there are also free sources that contain valuable information. Articles about companies or products in the target market will often quote data from these sources. You might also check whitepapers and product announcements for similar information. Publicly held companies are required to share information in analyst and investor reports. Quarterly and annual reports are typically available on these company websites as well as through the SEC filings. Also, trade associations will often conduct market research and aggregate industry data. Primary research, also called field research, is often used in addition to secondary research. The primary research can take on many forms and can strengthen your understanding of the market, allowing you to make better informed assumptions. The most versatile form of primary research is in-depth telephone interviews that can be used to capture more sensitive information. If possible, on-site visits can be used to confirm or contradict market sizing estimations or determine key information on market trends, such as technology, market performance, relative competitive position or other information dealing with understanding scope and defining the target market. To further develop your understanding of the market, it is important to gather trend information, which is typically in the form of qualitative data. This information can come through secondary research or comments from primary research. If we look at food packaging, it may be of interest to evaluate trends for specific food segments, such as dairy, meats/poultry/fish, or beverages. For example, look for trends in beef packaging that differ from chicken or pork. It may also be valuable to look for trends in packaging type (cans, cartons, trays, etc.) or fill technology (hot fill, aseptic, ESL, etc.). Once the trends information has been collected, you can start structuring data by group or theme. Typology is the strategy for qualitative data analysis to group findings into distinct categories in order to identify data themes. This process allows the researcher to quickly consider the value of information by comparing with other information in the same “cluster” or “line.” Typology is also useful for creating a story line as the project moves into analysis stage and the development of conclusions. As mentioned above, it is often necessary to develop multiple estimates using different approaches or sources. 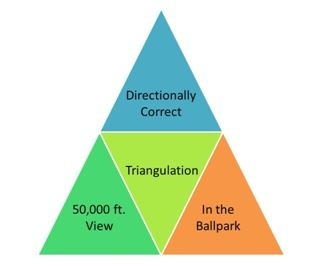 This is called triangulation. When multiple sources or estimations triangulate, the confidence in a market estimate increases. If the approaches widely differ, additional research is required to reduce risk and is recommended to narrow the range of market sizing estimates. Common pitfalls or mistakes often start early on by not properly defining the market or gathering data from non-reputable sources. The market definition should remain consistent throughout the data collection process and methodology should be based on market knowledge—not just demographics. Where possible, attempt to verify each significant finding through multiple published source materials or primary research. By confirming findings, you are able to leverage the value of various information sources and thus increase confidence in the final results. Download our free white paper for more information on the benefits of market research and how to use market research to better understand your industry. 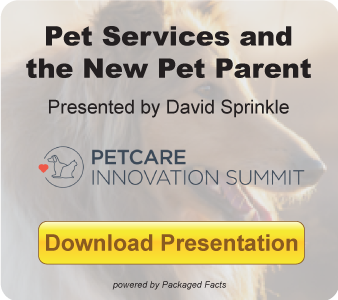 This post was written by Priority Metrics Group (PMG), a MarketResearch.com partner in custom research. Priority Metrics Group (PMG) is a professional marketing consulting firm based in Spartanburg, South Carolina. PMG provides customized research, analysis, and consultation services designed to generate profitable growth for clients. They work with leading organizations in a variety of manufacturing and service industries. They are experts at gathering and processing market information, analyzing data, and translating information into actionable growth initiatives.